At Rye Smiles for Life, proper diagnosis and cutting-edge technology form the foundation for our Exceptional Dentistry. Dr. D. Gordon Rye insists on using the highest caliber diagnostic and technical tools, including laser tooth decay detection, laser gum re-contouring, digital X-rays, and computerized bite analysis, to carefully plan your Personalized Dental Plan. All over McLean and Fairfax, our laser dentist’s cosmetic dentistry procedures and restorative dentistry procedures achieve remarkable transformations with leading edge dental technology. Rye Smiles for Life was even recognized in the August, 2006, issue of Dental Economics as the office of the month for Dr. Rye’s commitment to advanced technology. Dr. Rye uses the following dental technologies in his practice. 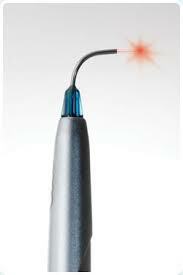 Digital X-ray technology utilizes an extremely sensitive and precise electronic sensor to take pictures of the mouth. The small sensor instantly transmits the pictures to the video monitor in the examination room. Digital X-rays produce a full view of the mouth for comprehensive treatment, and our video monitor allows the computer-generated image to be shifted, enlarged, and highlighted for a remarkably accurate diagnosis. Since digital radiography generates 90 percent less radiation than traditional X-rays, it is a safe, environmentally friendly, and an effective diagnostic tool for patients. Intraoral photography allows Dr. Rye and his team to essentially take you on a tour of your mouth. We take pictures of the teeth to show, in real time, the condition of your teeth and gums. Areas of special interest are captured with still photography and can be included in your Personalized Dental Plan (PDP). This technology improves visualization and communication between Dr. Rye and his patients. soft tissue procedures, such as gum re-contouring. 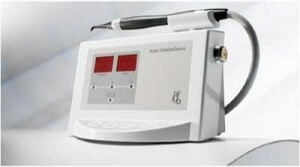 The diode laser beam vaporizes gum tissue with virtually no effect on surrounding tissues, making it an excellent treatment for gum re-contouring. Patients with “gummy” smiles can have excess gum tissue easily removed to lengthen their teeth and straighten the gum line for a smile makeover. Periodontal treatment: Lasers can kill bacteria and remove diseased tissue without damaging surrounding healthy tissue, making lasers a powerful tool in fighting and preventing periodontal disease. DIAGNOdent® decay detection: Dr. Rye and his team use a small laser instrument called the DIAGNOdent® to scan teeth, searching for hidden decay. The DIAGNOdent® is completely safe and pain free. This unique technology provides instant feedback on the health of each tooth. CEREC (Chairside Economical Restorations of Esthetic Ceramic) is an advanced dental technology utilized for the immediate restoration of decayed, cracked, or chipped teeth. CEREC can create full crowns, inlays, onlays, and veneers. The CEREC machine crafts a restoration in a matter of minutes. This superior method of creating precisely-designed, color-matched and highly durable ceramic restorations right in our office delivers the results you need in a single one to two hour appointment. The procedure for placement of a CEREC restoration is very simple. First, Dr. Rye removes all decay from the tooth. He then shapes the tooth in preparation to take a digital picture. The tooth is then sprayed with a very fine powder. This allows the digital camera to take an acceptable image. Once this image is captured, the tooth will appear on a computer screen in 3D. This will allow Dr. Rye to design the restoration right in front of you. Once the design is completed, the CEREC will mill the restoration. This step takes approximately 15 minutes. You can actually watch this process if you would like. When the restoration is finished milling, Dr. Rye will place the restoration. The entire process should take just over an hour. Scanning your prepared tooth produces an image that is more accurate than taking an impression with that old goopy stuff and it takes only seconds. Within minutes we can design and mill a custom restoration. These restorations give your restored tooth a more natural match to the rest of your teeth and can help preserve the healthy part of that tooth. This technology means that with just one visit you can receive porcelain crowns, onlays, and inlays, quickly and more efficiently than ever before. Processes that used to take multiple visits to the office are now quick and easy. The restored teeth as a result are a more natural match than ever before. And better yet, these restorations do not contain any metal, which is not only safer for your mouth, but also eliminates unsightly discoloration. Plus, the composite materials used will even feel exactly like your other teeth! Imagine, breaking a tooth, walking into our office and in less than 2 hours walking out with a new permanent crown. What’s even better, there is no ugly metal line at the gumline and you didn’t need to wait 3 weeks with a temporary crown. This technology ranks with dental implants as one of the two most important advances in dentistry in the past 25 years. 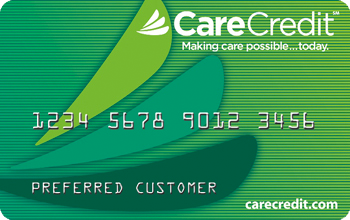 We’re excited to share this exciting new technology with you. Dr. Rye uses computer graphics and simulations to design new smiles and show your finished result before treatment begins. He employs the best in digital photography to capture his patients’ existing tooth and mouth structure and applies computer imaging technology to assist patients in exploring all of the possibilities Exceptional Dentistry has to offer. Computer imaging produces a digital picture that simulates the results of aesthetic and restorative procedures and allows us to prepare a Personalized Dental Plan (PDP), which is presented to you in the office on a 72-inch projection screen. We also provide you with a copy of your PDP on a CD for you to take home and review. This PDP is your roadmap to achieving the smile of your dreams and maintaining ideal dental health for the rest of your life. PreXion3D Cone Beam CT (computed tomography) imaging involves the use of an x-rayarm rotating around your head. While the arm rotates, it captures multiple images and sends them to a digital computer. The digital computer reconstructs the images into a 3D image of your internal anatomy. As opposed to traditional 2 dimensional x-ray technology, 3D Cone Beam CT imaging has the unique ability to differentiate tissue types, significantly increase resolution and provide your dentist with the ability to see any area of your dental anatomy from any angle. Your dentist can use this information to make accurate 1-to-1 measurements, identify PreXion3D Cone Beam CT brings x-ray imaging to the next dimension by providing 3D images that allow us to safely diagnose and customize your treatment like never before. PreXion3D combines the highest quality 3D images and the most powerful software in the industry, enhancing implant planning, oral surgery, endodontics, periodontics, restorative, general dentistry and much more. This investment in high quality diagnostic imaging reflects our commitment to providing the best possible care for you and your family!. Call us today at (703) 565-2503 for an appointment. When a tooth is lost and it needs to be replaced with a dental implant, your dentist needs to evaluate the area for quantity and quality of bone. Traditional two dimensional images from periapical and panoramic x-rays do not provide the buccolingual width and angulation of the available bone which are the most important criteria for implant selection and success. This is why new three dimensional scans are so important in implant planning. Dr. Rye uses highly advanced 3-D image scanning to assess the quantity and quality of the bone present and to visualize the location and relationships between critical internal anatomic structures. This type of sophisticated and precise information is invaluable when treating patients with any kind of bone loss either due to disease or trauma. Using this 3D technology Dr. Rye is able to place implants in areas previously thought unsuitable, obviating the need for more expensive, invasive surgical procedures used to augment bone prior to implant placement. Within seconds of the PreXion3D scan, wecan present you with the 3D & MPR images, give you a virtual diagnosis, offer up a personalized treatment plan with the expected outcome all in one visit. 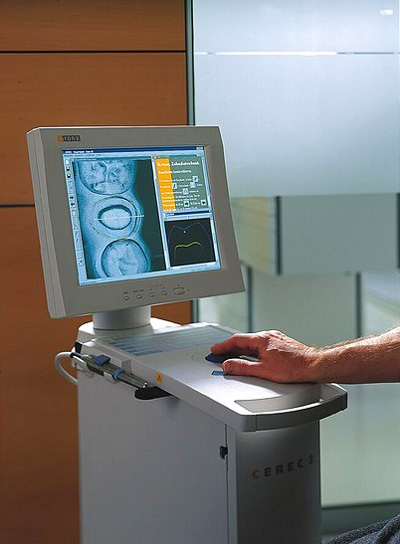 Because we have a PreXion3D scanner in our office, you can avoid an extra visit to a radiology center or hospital. Plus, it does not require multiple consultation appointments; most treatment plans can be done in one visit. Unlike more invasive x-ray machines, the PreXion3D scanner allows you to sit comfortably upright in an open air environment. Plus, a PreXion3D scan can take less than 9 seconds for a scan, as opposed to a regular CT scanner which can take much longer. The PreXion3D scan is completely painless and can dramatically reduce x-ray radiation exposure when compared to normal CT scanners and some older traditional dental x-ray machines. Traditional 2D Panoramic and other dental x-rays are limited when compared to 3D images that can show different angles and planes, allowing us to view any part of your anatomy from any direction or angle. A misaligned bite can cause a variety of problems, including TMJ disorder, fractured teeth, gum recession, headaches, and backaches. Computerized bite analysis allows Dr. D. Gordon Rye to treat and prevent such problems by evaluating how your teeth, facial muscles, joints, and bite work together. It also increases the success rates of dental implants, dentures, splints, and dental appliances. Unlike traditional paper bite analysis, computer technology shows the sequential order in which your teeth touch during the bite process, improving the precision of your Personalized Dental Plan. Dr. Rye can also use computerized bite analysis technology to create a digitalized tracing of your jaw movements, making it easier for you to learn about any bite problems you may have. Our office is one of the first in the country to use the Technology Lighting Center (TLC) system. TLC is a combination operating light and viewing monitor that provides the utmost in patient comfort and flexibility. Whether in the upright or reclined position, you can relax watching DVD movies, cable television, or patient education materials, as well as digital x-rays or digital photos of their teeth on the flat panel LCD monitor. The monitor, which is mounted on a track attached to the ceiling, rotates to a vertical or horizontal position so that you always have a good view of the screen, but it remains out of Dr. Rye’s way. The glare-free operating light is directed on your mouth, not on the eyes, so that you have an unobstructed view of the monitor. You will become so relaxed while watching the monitor during your cosmetic and laser dentistry procedures that you may almost forget that you are in the dentist’s office.